Which is Better: Being a Contract Developer or a Permanent Employee? Many industries today prefer to hire workers on a contract basis, without actually absorbing them into the company as employees. The same is the case with the field of mobile app development. More and more establishments are offering job opportunities for freelance app developers. What are the pros and cons of such a system? Is it worth becoming a contract mobile developer? Which of these works out better in the long term – is it a contract job or a permanent post in a company? In an effort to compare these two options, this post discusses the advantages and disadvantages of both contract and permanent app development. One of the major reasons for hiring contract developers is the sudden change that the corporate world is going through today. Regular employees have to be offered several benefits and perks, besides their fixed salary every month. The market scene being quite grim in current times, companies have been forced to cut costs by way of downsizing and restructuring their setup. Contractors are not permanent fixtures in a company. They merely sign an agreement for a particular development deal, finish their job, collect their pay and leave. This works out beneficial for the company, which saves a lot of unnecessary expenditure. Though mobile contractors have to be paid higher returns, it still becomes relatively much cheaper for the company, as compared to maintaining permanent employees. App developers working as permanent employees are paid high enough salaries, though they are significantly lesser than their contractor counterparts. However, if the contract developer is going through a contract broker or agent to find work, he or she will have to pass on a share of the pay to that particular agent. Of course, in this case, all the aspects of tax payments are handled by the agent. Many of these agents also offer small benefits to their contractors, such as paid leave and bonuses. Many companies today prefer to hire contract developers via agents, as they can easily validate their contractors’ credentials this way. 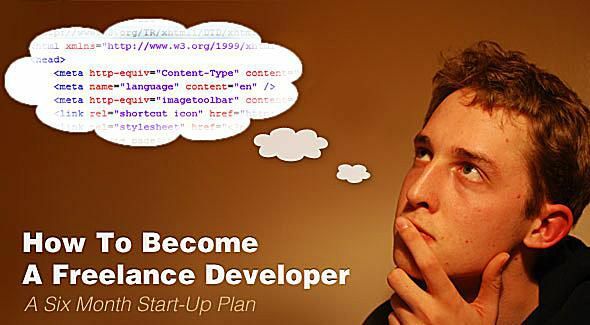 It is also advantageous for developers, as it helps them find a steady stream of work. Is Contracting the Future of Mobile Development? The biggest risk of becoming a mobile contractor is that the developer may not find jobs that often. However, even permanent employees today are at grave risk from situations such as company downsizing. Even the oldest employees have to be prepared to be laid off from their jobs without prior notice. Contractors, on the other hand, are always prepared for change, as they do not intend to last as permanent company staff. Besides, mobile contractors are usually experts who specialize or even super-specialize in one particular aspect of the mobile app development industry. Hence, they will always be in demand for similar types of jobs. Since their pay is higher than the regular employee, most contractors can afford to wait until the next project comes along. It brings in much more money for the contractor. The timings are flexible, as suits both the company and the contractor. The contractor is independent and can choose his own schedule. Since the contractor is not part of the company, he is exposed to less bureaucracy. A contractor does not have scope for much advancement in the field. There is always the risk of long-term unemployment. There are no additional benefits, perks, bonuses or other incentives. There is nothing such as paid leave, insurance, and medical benefits. All tax payment issues have to be dealt with by the contractor. Job Hunting Tips for Mobile Developers. There is job security, at least on paper. An employee’s tax issues are taken care of by the company. Avail oneself to all company benefits such as bonuses, paid leave, insurance, medical benefits and so on. The company works at honing its employees’ skills in different fields of app development. An employee has enough scope for career advancement while he or she is still in service. With companies laying off more and more employees today, not all jobs are as secure as they seem. Permanent employees often earn much less than mobile contractors in the same field of specialty. App developers may sometimes get stuck with the same type of job profile, which means, they become redundant. Permanent employees invariably have to face office bureaucracy. They can never be independent during their tenure in office. Finally, this debate on contract developer vs. permanent employee boils down to a matter of choice. It largely depends on the personality of every individual app developer and his or her attitude towards work. There have been app developers who shifted from being permanent company employees to becoming freelance developers; and vice-versa. Irrespective of the path you choose, your main focus should be on giving your personal best to your chosen career – success eventually follows you.